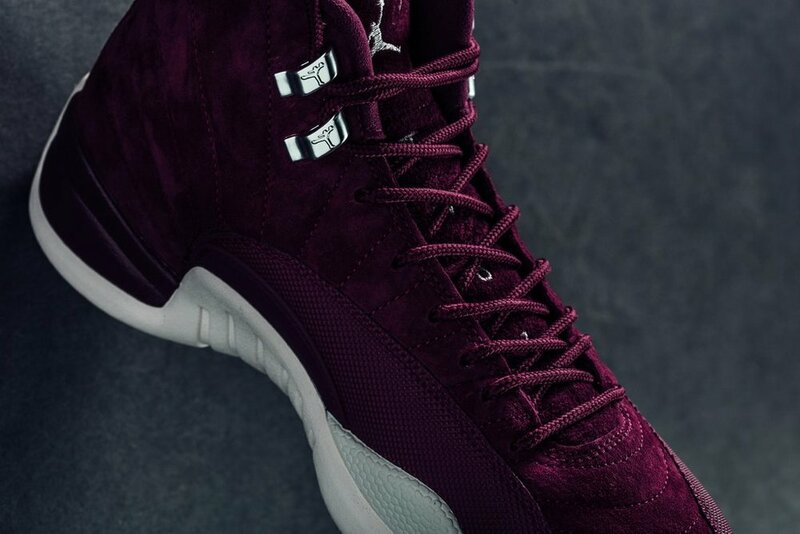 Jordan Brand gives the iconic Air Jordan XII silhouette a fall-ready makeover for its latest rendition. The late 90's basketball model gets a modern take with a fine "Bordeaux" wine suede upper contrasted with true white accents on the midsole and tongue branding. Metallic eyelets at the top add a luxurious touch, while the Jumpman branded heel tab offers a signature look. Get a chance to purchase your pair on October 14 at selected retailers such as Feature.